Bruce Coudrey has been Principal of Benchmark Business & Commercial Sales, since 1999. Benchmark is one of Australia’s largest national business brokerages. Since establishment Benchmark has grown to include several specialist areas, including Childcare Sales, Service Station Sales, Newsagency Sales, Hair & Beauty Sales, Newsagency Sales, Self Storage Sales, Supermarket Sales, and Education Sales. Over 50 brokers work with Benchmark. Bruce is a Registered Business Valuer and has acted as a court-appointed expert witness. He has been retained by State Government roads departments and local governments for advice and information relating to compulsory acquisition and compensation matters – particularly in relation to service stations and small businesses. Bruce Coudrey’s knowledge and experience in the service station area is comprehensive and he is widely regarded as a leader in the field. Bruce has owned many businesses himself. In 1983 Bruce Coudrey completed a mechanical engineering traineeship at John Lysaght Australia – Port Kembla. Upon completion of that traineeship, Bruce went into business as a service station proprietor. Bruce’s first service station was Shell Dapto. Bruce has owned and operated six (6) leasehold service stations in the Wollongong area (Dapto, Gwynneville, Fairy Meadow, Corrimal, Tarrawanna, East Corrimal), having sold the last service station on November 24th, 1999. Additionally, Bruce owned a Thrifty Car Rental Franchise, and he has owned and operated two (2) car washes and five (5) mechanical repair workshops. For several years he was a member of state and national Shell Dealer Advisory Councils. Bruce was one of the first Shell "Multiple Site Franchisees (MSF)" in Australia and was involved in establishing brands such as Car Spa, and Autocare, and was also behind the establishment of the Shell Shop program. Participating in the Shell Dealer Advisory Council meant significant involvement in the introduction of the Shell FORCE franchise in 1989 and the adoption and implementation of the unique Shell SIS (Breeze) Point of Sale System. Since 1995 Bruce has specialised in the sale and leasing of service stations in Queensland and has been involved in the sale and leasing of hundreds of service stations around Australia. From 1995 until 2009 Bruce also operated a company which provided advertising on Billboards in New South Wales and Queensland – which means that he is familiar with the outdoor advertising industry. He has been involved in the sale of many hundreds of businesses, having recently been involved in his 4000th sale. Bruce has been involved in consulting and appraising all types of businesses and he works in all markets across Australia. 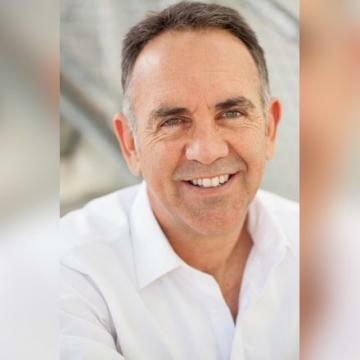 Bruce has been the chair of the Australian Institute Of Business Brokers Education & Training Committee, and he has managed training programs for business brokers across Australia since 2009. In 2010 he was awarded the AIBB President’s Medal. Bruce is engaged to complete around 20 valuation assignments each year.